What is the Best Way to Heal Snoring and Sleep Apnea? In September 2017, the Ig Nobel prizes were once again handed out to researchers who have contributed unusual research that nevertheless contributes valuable knowledge to the scientific community. The Ig Nobel peace prize was awarded to scientists from Switzerland, Canada, the Netherlands, and the USA for a study showing that playing a specific instrument can both cure snoring and sleep apnea. The study is not new. It was published in 2006 in the journal BMJ, but since it has just been rewarded for its ingenuity, it is worth revisiting it. The authors of the study identified the collapsing of the airway as one of the most central difficulties of people struggling with sleep apnea and snoring. They then wondered whether people’s airways could be opened and trained to remain open during the night by making them play wind instruments. They recruited 25 patients and divided them into a treatment group and a control group. People in the treatment group were given didgeridoo lessons and practiced for 25 minutes, 6 days a week, which shows remarkable dedication. The control group remained on the waiting list for didgeridoo lessons. The scientists then tested their daytime sleepiness, their sleep quality (on the Pittsburgh quality of sleep index), their apnoea-hypopnoea index score, their partner’s assessment of their sleep disturbance, and their general health-related quality of life. Compared to the control group, the didgeridoo player’s daytime sleepiness and apnoea-hypopnoea scores improved significantly, and their partners reported sleeping much better than before and being disturbed a lot less. Following this study, a different research team wondered in 2012 whether this would work with other wind instruments too, publishing their study in the Journal of Clinical Sleep Medicine. Like the authors of the earlier study, their hypothesis was that playing a wind instrument could train the respiratory muscles to keep the upper airway open, and thereby facilitate better breathing during sleep. They identified 906 active musicians and, through online questionnaires, asked them about sleep apnea, snoring, general health, and instrument playing. Musicians who played double reed instruments were much less likely to suffer sleep apnea and snoring than those who played non-wind instruments. The longer they had played their double reed instruments, the less likely they were to struggle with these. People who played other wind instruments did not differ significantly from those who played non-wind instruments. Double reed instruments include the bassoon, the reed contrabass, and the oboe (of which the English horn is one). They exclude the clarinet, saxophone, and flute. 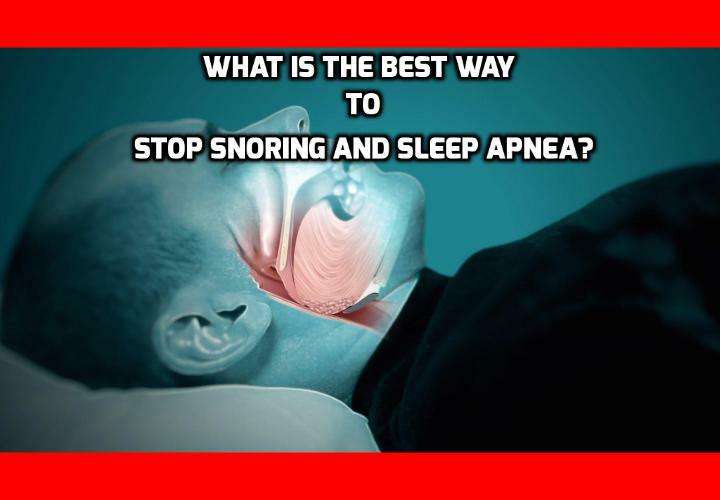 Therefore, if you want to tackle your snoring and sleep apnea and acquire a new hobby at the same time, learn to play one of these instruments and find out whether your snoring or your playing irritates your partner most. The real interesting thing for me however is the scientific proof that you can train your throat to stay open day and night and therefore cure snoring and sleep apnea. And this is exactly what I’ve been teaching for over a decade, using my simple throat, jaw and tongue exercises. The only difference is, you don’t have to play music or use any kind of instrument. Plus these simple exercises work for almost everyone. A new study published in the journal JAMA Neurologyrevealed some scary results regarding snoring, sleep apnea and your cognitive health. And we’re not just talking memory loss! Fortunately, there are some things you can do about this if you act fast. breathing and cognitive health. Each study included at least 200 subjects over 40. So in total, this mega study analyzed 4.2 million people. Sleep-disordered breathing is not just sleep apnea but also when snoring is loud enough to interrupt sleep. Those suffering sleep-disordered breathing were 35% more likely to experience cognitive decline. The cognitive skills mostly affected were concentration, understanding, attention, clear communication, recognition of people or things, and so on. It also increased the participant’s chances of suffering from a loss of executive function. Executive function refers to the ability to make sound decisions based on available information, to exercise self-control, to avoid impulsiveness, to act according to goals, and so forth. The good news is that previous studies have shown that people treated for sleep apnea (using CPAP) were no more likely to suffer cognitive decline than normal sleepers. So if you act quickly you can stop the decline in its track. The problem is that most people hate wearing CPAP masks. The majority of sleep apnea users either stop using it altogether or take it off most nights – making it completely useless. New study from researchers at Johns Hopkins University and published in The Journal of Clinical Endocrinology & Metabolism reveals some devastating facts about sleep apnea. If you have been diagnosed with sleep apnea or snore loudly (a clear sign of sleep apnea), you absolutely must know about this. Because if you take the right action, you CAN avoid sudden death! Researchers recruited 31 overweight, sleep apnea sufferers who were already used to sleeping with continuous positive airway pressure (or CPAP). 1) What exactly happens to your body when you have sleep apnea onsets? 2) Are these effects caused by the sleep apnea or from being overweight? Although most people suffering sleep apnea are overweight, so are those with high blood pressure, type 2 diabetes, cardiovascular diseases and other conditions often linked to sleep apnea. So they had each of their subjects spend two nights in a sleep lab. One night they slept with their CPAP and one without it. While they slept, the researchers drew and analyzed their blood every 20 minutes, testing it for free fatty acids, triglycerides, cholesterol, glucose, insulin, cortisol, C-reactive protein (an inflammatory marker) and L-lactate (a test of metabolism). In addition, they tested their blood pressure, blood vessel function, glucose production, and glucose tolerance. Comparing the nights with and without the CPAP, researchers learned that withdrawal of the CPAP immediately led to a resumption in the sleep apnea. And that immediately caused an increase in free fatty acids, glucose, cortisol, and systolic blood pressure. Imagine, just one night with the onset of sleep apnea triggered pretty much all markers of bad health. And since their subjects were all overweight, we can safely assume it was the sleep apnea, not their weight, that caused those markers to rise on the nights CPAP wasn’t present. Now, although the CPAP was obviously very helpful, there is one major problem with these results. That is, most people hate using CPAP. Over 80% of those with sleep apnea either stop using it altogether or throw it off most nights – making it close to useless. Fortunately there is another way. One that’s even more effective than CPAP. It’s a simple set of throat, tongue and jaw exercises that open up your breathing passage and stop sleep apnea and snoring – often on the very first night. Previous PostPrevious What is the Best Way to Cure Snoring and Sleep Apnea? Next PostNext What is the Best Way to Tackle Sleep Apnea?